Bring on the bridal blooms. Nothing adds romanticism like fresh flowers. Take your day-of look one step further by incorporating colorful blooms into your bridal style. As a budding headpiece or bun-adorning accessory, using florals as part of your wedding look will add a unique and whimsical element to your walk down the aisle. 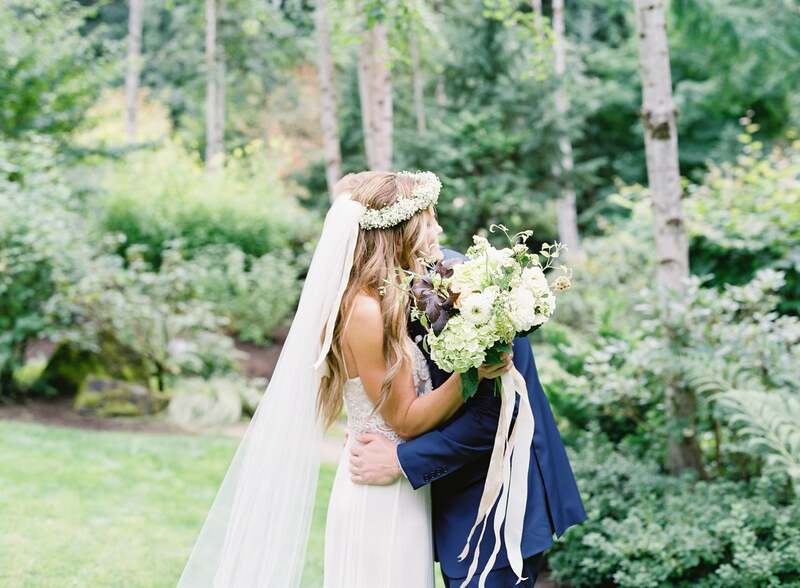 Whether wearing a crown of baby’s breath or an earpiece of white roses, use nature’s most striking accessory to help define a boho look, or elevate your traditional bridal style. We sought advice from 10 experts who have showcased their best uses for floral accessories, taking inspiration from looks that stem from some of their most enchanting brides.